Olympia Bedding SetOlympia Bedding Set, alt="Olympia Bedding Set, "
Originally found in a vintage print library, we love the way this pattern frames the bed, making a statement without being overwhelming. 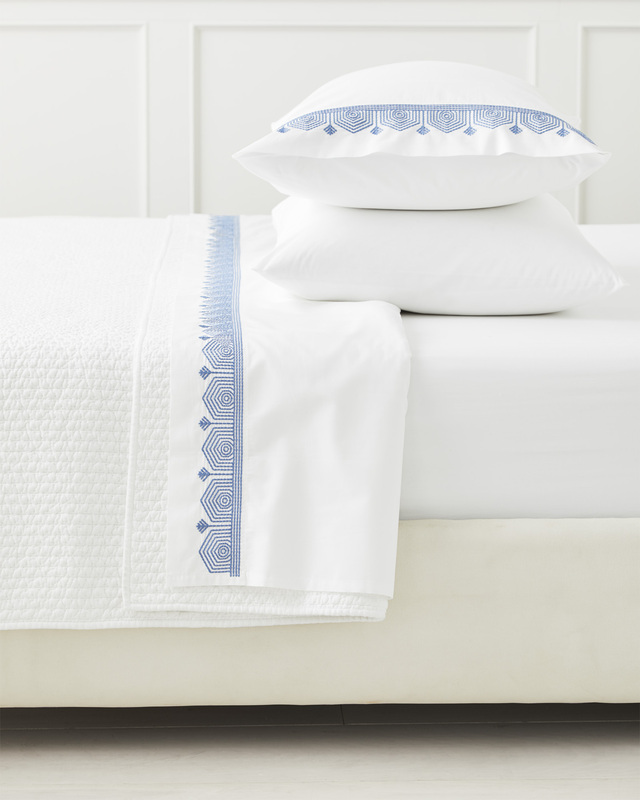 The rich stitching is perfectly weighted for the crisper base, a cool and light cotton percale that keeps everything feeling fresh. 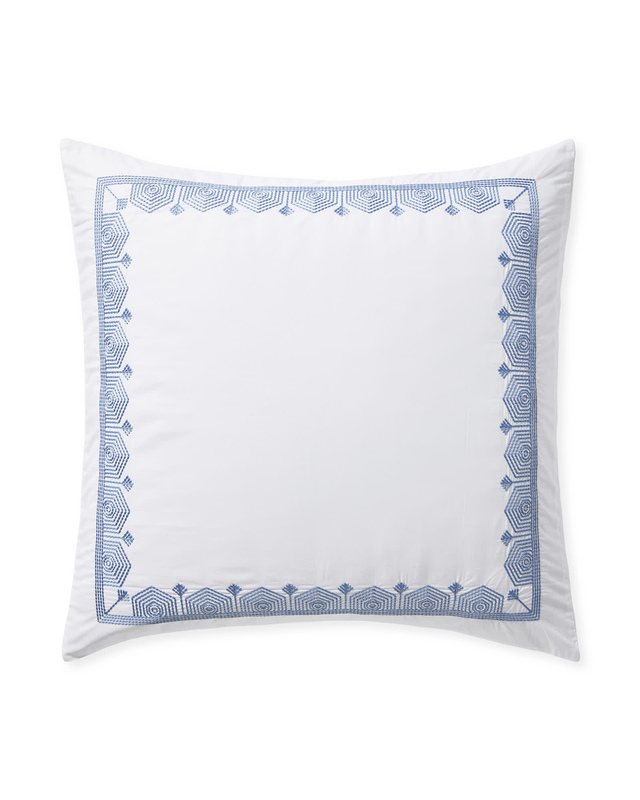 Made in Portugal, this reflects the craft and creativity of its famed textile artisans. Such a beautiful balance of the bold and the delicate. 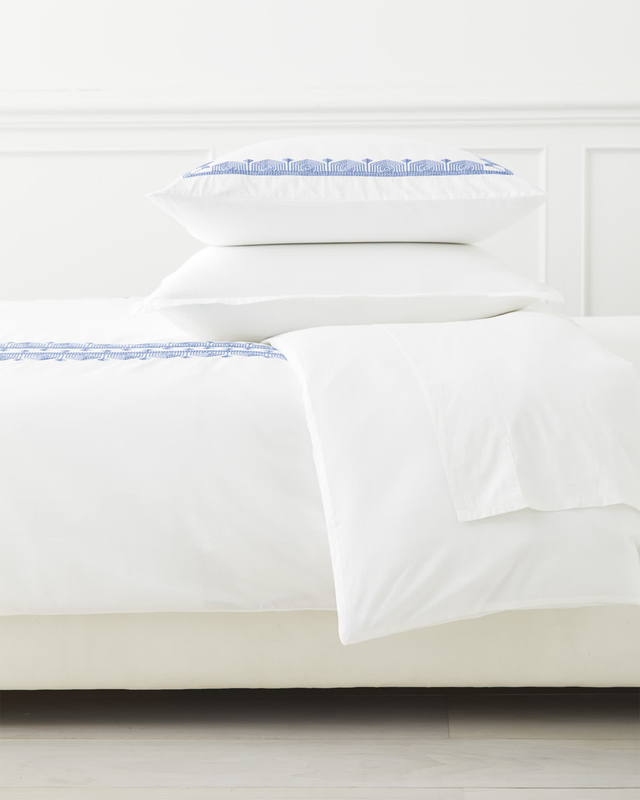 Because we love to rest easy, we’ve created two fabulous set-ups: The Essential Bedding Set and The Dream Bedding Set. Each set has 4 size options to choose from, so you can effortlessly refresh your look (and sleep luxuriously). Looking for a new layering foundation? This set’s for you – it comes with your choice of bedding, minus pillow or duvet inserts, so you can instantly switch up your style. 4 size options available. Dreaming of a whole new bed from the inside out? 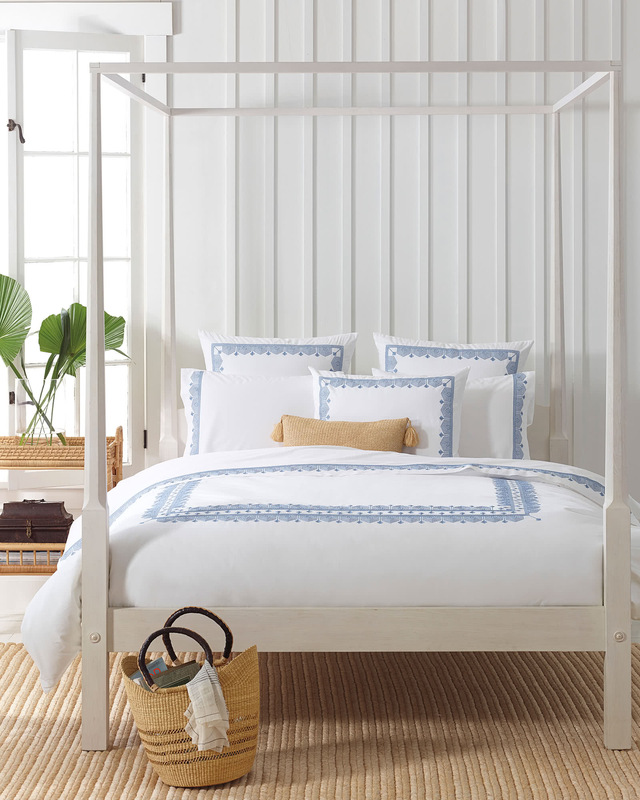 This set has you covered, with your choice of bedding, plus duvet and pillow inserts. 4 size options available. Easy to care for: Machine wash warm. Tumble dry low and pull straight out of dryer to avoid wrinkles. Dimensions: Full/Queen: 92” x 88”. King/Cal King: 108” x 92”.